The recent op-ed by Yair Sheleg, “Israel’s battle for peace between religion and state,” is troublesome in several ways. While he portrays himself as a dispassionate analyst, it is clear that Sheleg’s essay intends, on the contrary, to inflame passions—and he is not above inverting the record in order to do so. The editor’s note added by JNS.org is revealing. In lieu of “haredi,” the writer used the pejorative term “ultra-Orthodox,” prompting this editorial disclaimer. In an era when we express sensitivity and consideration towards minority populations, we allow them to choose the terms of their own identity and avoid negative bias. The writer affords the haredi community no such consideration, using a modifier, “ultra-,” that is universally negative when used to describe a movement or community. The Israel Democracy Institute claims to be nonpartisan; the director of its Religion and State program belies that, at least with regards to Jewish religious affairs. The vast majority of religious nationalist leaders and members all strongly oppose the changes advocated by Sheleg—and, given his position, he is surely well aware of this. Thus the “ultra-” label is not merely pejorative, but a facile attempt to reframe the conversation to avoid the real issues. To anyone with even minimal knowledge of the differences in belief and practice of traditional and non-traditional Jews, the reasons for the disuse of Ezrat Yisrael are not difficult to discern. Neither movement prays for the restoration of the Holy Temple upon the Temple Mount, and the overwhelming majority of liberal Jews do not pray daily at all. They are not coming on aliyah, neither are Israelis interested in their revisions of Judaism—there are less than 100 liberal congregations in all of Israel, serving less than 0.4 percent of the Jewish population. 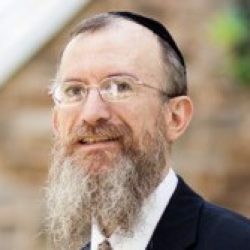 Why are these movements spending an inordinate amount of time and money to change Judaism in Israel, rather than educating and influencing their youth, working to guarantee that their grandchildren care about Judaism? If they truly care about the Jewish future, they will not besmirch Israel with unfounded accusations of limitation on Jewish practice, but encourage their own to visit or even live there, and learn for themselves—both about Israel, and about Judaism.